Daisy's latest extraordinary woman, Lisa, talks about her nutrition and fitness business in Scotland and her own journey to wellness. Lisa is 51 years old and hails originally from Bournemouth, in the south of England. She lives in a small village in Aberdeenshire, Scotland, with her husband Nick and their menagerie of 2 labradoodles (Skye and Mouse), one cat (Gobolino), 6 chickens, one cockerel, 5 ducks (and yes, they do all have names!!) and a tank of tropical fish! She is also the proud Mum of four wonderful sons, all in their twenties. As a child Lisa suffered from a lot of ill-health, resulting in numerous courses of antibiotics. She developed intestinal issues from an early age, which she finally self-diagnosed as gluten intolerance and intestinal permeability (leaky gut) once she had qualified as a nutritionist. She was a vegetarian for 27 years, but five years ago, after much research and reading, she discovered the paleo diet, which helped resolve her gluten intolerance. She attempted this initially as a vegetarian but eventually realised that adding meat and fish was going to be necessary to improve her health. She later transitioned to low carb, briefly played with keto and finally turned to a carnivorous way of eating last October, which had a surprising result for a 20 year health condition she had! Lisa had a complete “MOT” in April, 6 months into the carnivore way of eating, looking at her cholesterol, bloods, vitamin levels, heart & lung health etc and came away with outstanding results, and the statement “whatever you are doing – keep doing it!” She also had a uBiome test done recently to explore her gut bacteria since this dietary change, which you can read about in a detailed blog on her website here. As a qualified Personal Trainer, (with specialised certifications in Kettlebell training, HIIT training and Cardio Kickboxing), a qualified Naturopathic Nutritionist and Primal Health Coach, Lisa brings the essential combination of both nutrition and movement to her clients. With her counselling and relaxation therapist qualifications she also provides positive mind-set coaching and relaxation therapies. 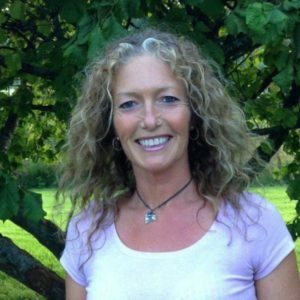 Treating people holistically is a crucial part of Lisa’s approach, as she firmly believes that the body and mind are connected and that we need to look at the whole rather than the part. Every client is treated as per their individual needs, not as a “one size fits all”. Lisa’s own experiences with both intestinal problems and physical injuries have given her valuable insight into how difficult it can be for people who are suffering with various conditions. Her new online kettlebell training program “The Kettlebell Cure” will be available later this year, and is aimed at complete beginners; men and women who have never lifted a kettlebell, and indeed may never have lifted any weights at all, and are nervous, apprehensive and worried about doing so. Her aim is to open up this kind of training to all ages and fitness levels because of the multitude of benefits it provides; from increasing lean muscle tissue, to burning fat, to improving bone density and joint mobility and overall flexibility. Kettlebells develop incredible core strength, helping to protect and strengthen backs, knees etc and even the pelvic floor muscles. Be careful! I’ve flung my kettlebell across our living room! Haha, yes I was thinking about that. Do. not. let. go. The fear has crossed my mind​:eyes:… but Lisa was convincing enough to make me look into it.